Home › Latest Promotions › This Summer, the Gear is on us! This Summer, the Gear is on us! When you purchase any new Softail® model from our dealership, we’ll make sure you look as good as your bike! 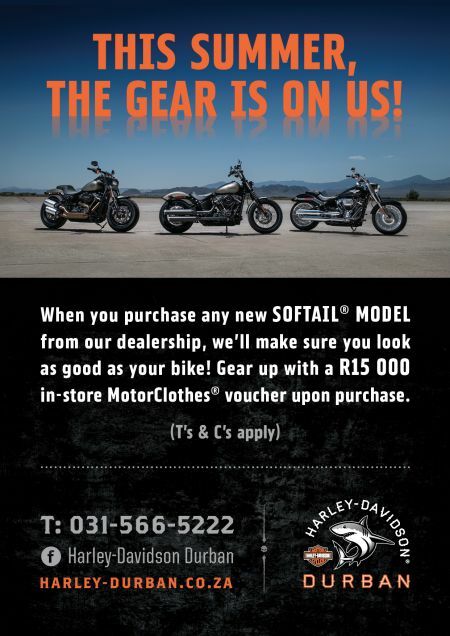 Gear up with a R15,000 in-store MotorClothes® voucher upon purchase.